Secure your mail and protect your identity. 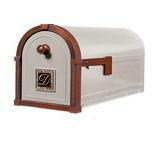 Mailboxes below usually ship within 5 business days of purchase unless marked hand made. 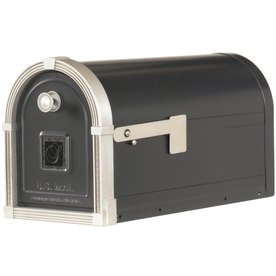 Full Service - for Incoming and Outgoing Mail, Extra wide mailslot, Slide-out mail signal, Concealed locking access door, and an outgoing mail clip. This mailbox has a front and rear door but does not lock!!! We can custom Color it in any color you want. This particular color is Copper. Just specify when ordering. 14"wide X 16" Tall X 24" Long. This mailbox is like a safe!!! Comes with post and everything you need!! Don't lose your identity due to someone stealing your mail. Buy this and never worry about your mail again. The Secure Mail Vault is the first truly secure residential mailbox designed to eliminate the problem of identity theft through stolen mail. The Secure Mail Vault has one of the largest drop chutes in its class, and has plenty of room for large envelopes and magazines. 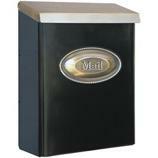 It is perfect for business or vacation, since a week's worth of average mail can be stored safely. 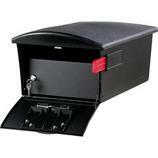 The Secure Mail Vault combines imaginative design and durable function to bring you optimal mail security. Unique style provides a handsome first impression to any home. The powder coated galvanized steel body is rust resistant and made to last almost forever. It installs easily onto a powder coated steel post using the hardware provided. The outer door is utilized by the postman for out-bound mail pick-up. 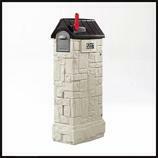 The Mail Vault's unique style adds curb appeal to any home landscape. This model is currently available in white and black. Comes in White or Black only!!! Specify when ordering please. Comes with everything you see. 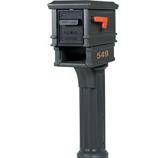 This is a mailbox that will save you the trouble of having your mail held at the post office while away. 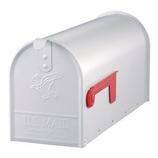 The MailMaster StoreMore mailbox can do this with a simple removal of the mail compartment bottom plate. Locking rear access door allows homeowner to retrieve mail upon return. Mounting hardware and house numbers included. 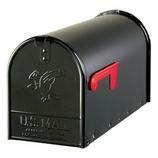 Made in U.S.A.
30% heavier than standard mailboxes. Style of the Jumbo sized maibox varies slightly to the picture. Same quality but just much larger. 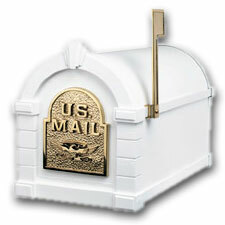 It is handmade and is not USPS approved so get approval through your local post office before purchasing this mailbox. Colors are your choice. Please specify what color you want when you order. Any colors are available. THIS MAILBOX TAKES 6-26 WEEKS TO BUILD AS IT IS HAND MADE FROM GROUND UP. 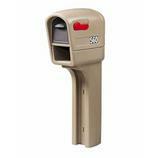 Please allow 5 business days for all pre-manufactured mailboxes above to ship out. 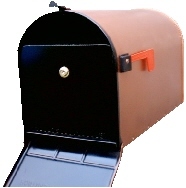 All other hand made mailboxes on this page ship usually within 6-26 weeks of order. Call with inquires. Available in Stone, Black and Dark Green colors. Please specify which color you want when ordering. Available in either Black/Nickel, White/Gold or Black/Bronze Finishes. Just specify which color you want when ordering. Timeless Style Infused in History...These classic lines were created with impeccable style and craftsmanship for lasting appeal. Your vision will be transformed into your own personal expression of timeless beauty where everything old is new again. 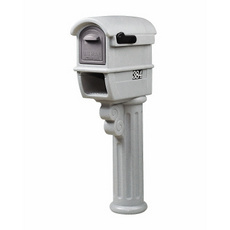 • Note: 4"x4" wood post, mailbox, and mailbox mounting hardware NOT included. 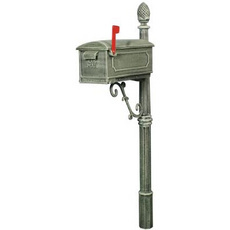 The ideal mailbox to enhance the appearance of your classic home. 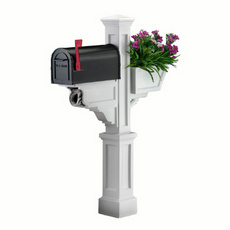 The MailMaster Classic Plus mailbox by Step2 features a detailed marble-look column styled post. 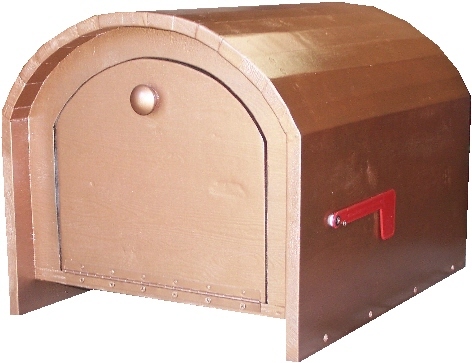 Front and rear mail compartment doors for easy access and a built-in newspaper compartment. Mounting hardware and house numbers are included. 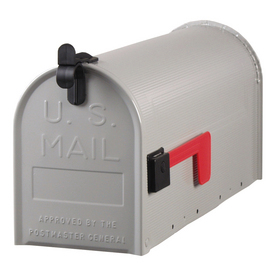 Made in The U.S.A.
For families with larger mail handling needs we offer the Step2 MailMaster Deluxe mailbox in Stone Gray. 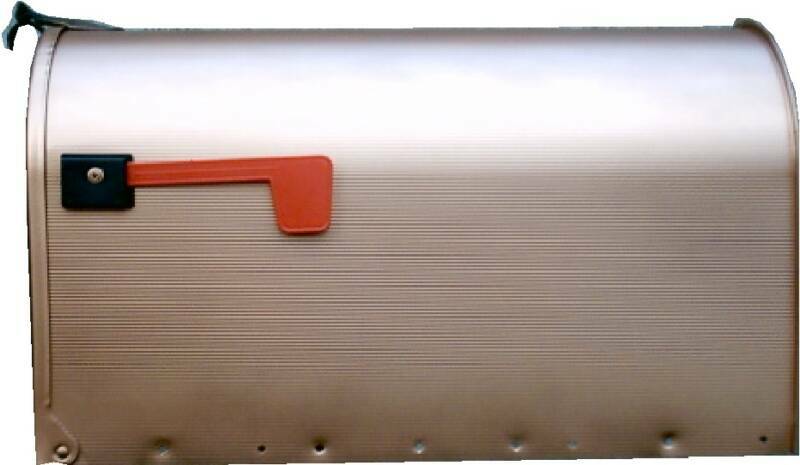 Extra large mail compartment allows magazines to lay flat. Two built-in newspaper slots included. 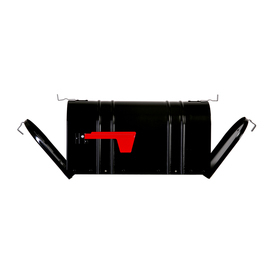 Front and rear doors for easy mail access without the need to step into the street. House numbers and mounting hardware are included. 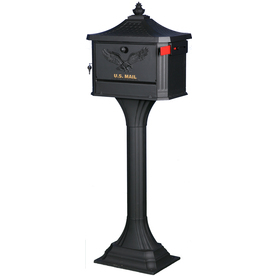 Made in The U.S.A.
Click here to add text.The quality, craftsmanship and lasting beauty of this Pedestal Style Cast Aluminum Mailbox make it a necessary accessory for any curbside. 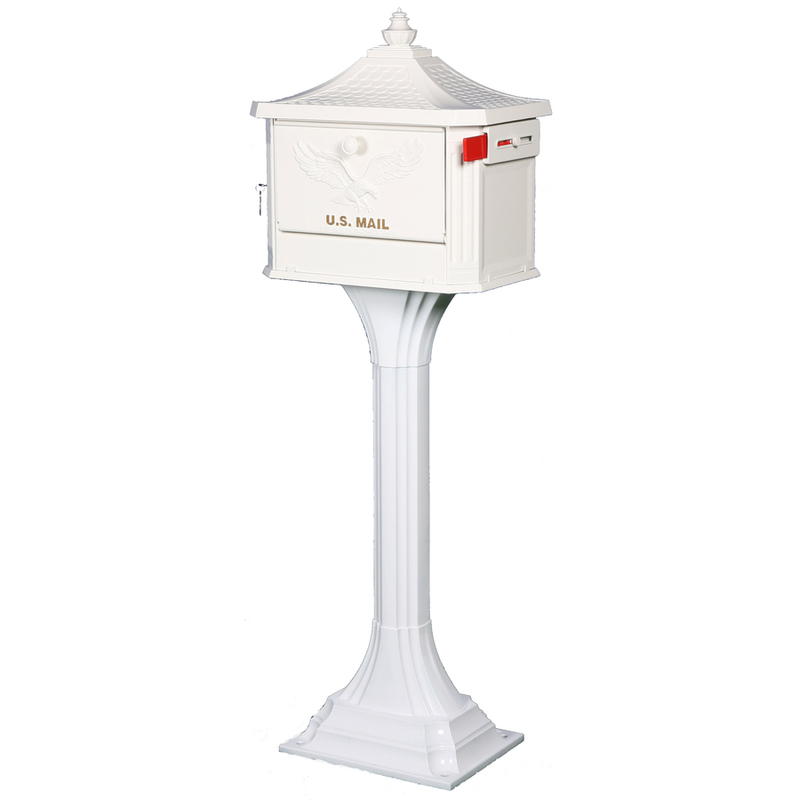 Constructed from heavy duty cast aluminum, the weather-durable, powder coated white finish will not rust. This pedestal mailbox serves as a full service locking mailbox and is USPS approved. Its large capacity holds several days of mail. Assembly hardware is included for easy concreting. 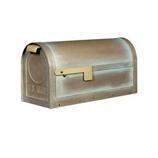 Click here to add text.This country home styled mailbox add charm and curb appeal to your home. Front and rear doors for easy mail access without stepping into the street. A built-in newspaper slot is included. 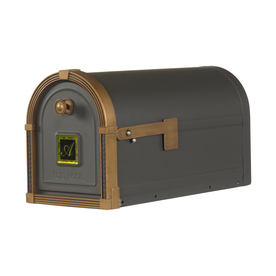 Built to be weather and vandal resistant, this mailbox comes complete with mounting hardware and house numbers. 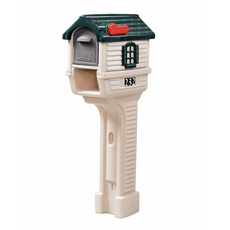 Made in U.S.A.
• Whimsical house styled mailbox with built-in newspaper compartment. • Front and rear doors to access mail without stepping into the street. • Weather and vandal resistant. • Includes mounting hardware and house numbers. Click here to add text.The Olde Towne Cast Aluminum Combo brings the old world look to the new world. 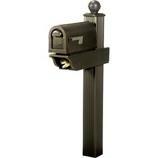 This post mount curbside mailbox and post combo is constructed from heavy duty cast aluminum. The weather-durable, hand painted Verde Green finish will not rust. The detail and styling brings "Olde Towne" charm to any neighborhood. Assembly hardware and steel anchor for easy concreting are included. Shipping included on all Locking & Rural mailboxes anywhere in USA except Hawaii or Alaska. Email for quotes if outside the States or lower 48.